FivestarMan was founded in 2008 by Neil Kennedy. Neil has passionately promoted God’s Word for twenty-five plus years of ministry. He is known for practically applying Biblical principles that elevate people to a new level of living. 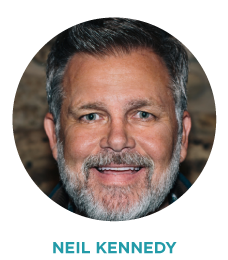 As a business, church, ministry, and life consultant, Neil has helped others strategize the necessary steps to reach their full potential. His full time focus is now on FivestarMan and he travels extensively each week speaking in churches and seminars challenging men to step up and grab the reins of authentic manhood.